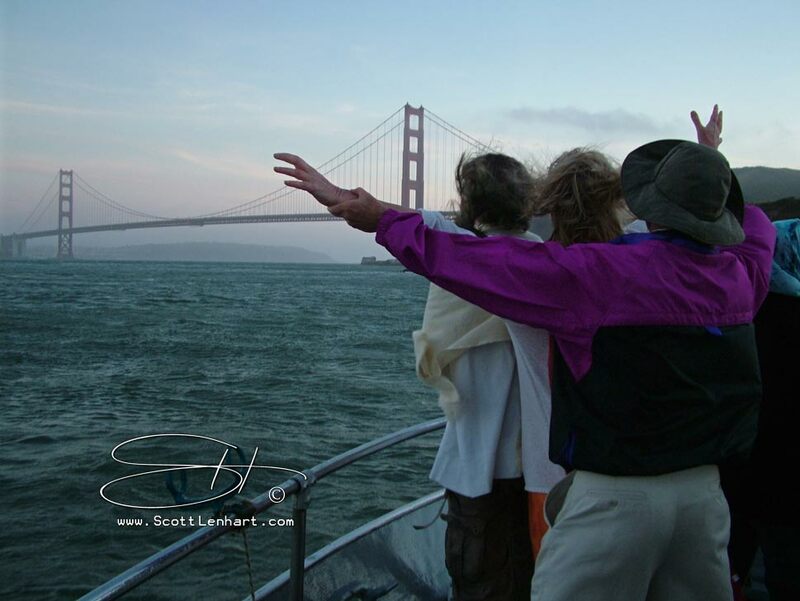 We offer San Francisco Birthday Party Boat Charters. Throw a birthday party like you've never thrown before. Or go for a spin - Go sightseeing. Get into nature: go eco-touring on a whale watching party trip! Sing "Happy Birthday" under the new lightshow on the Bay Bridge. ...or sing it in the most famous bars and nightclubs in several of San Francisco Bay's biggest ports. Eat at the best restaurants. Tell us what you like and we can recommend some of the best places near your boat. Whale Watching, Sea Lions, Birds & Great White Sharks can be spotted on our Farallon Islands Eco Tours!